OK, OK, so I’m not quite original. So everyone is writing their “Favorite Books” posts these days. So I’m a little late to the party (Hey, I’ve been sick for the first two weeks of 2018!). I still think it’s fun to see what people are reading and what people’s taste in books looks like. Every year I start out with one reading goal, and even if I don’t write it down, it’s there, tucked in the back of my head. My goal is simple—read more. I don’t always do a good job with my simple goal, but this past year I did, thanks, I think, to Goodreads. I joined Goodreads sometime last year and started keeping better track of what I’ve read. Last year I surprised myself by reading 34 books! That’s a lot for me! So this year my goal is still the same—read more. Want to follow me on Goodreads and see how I do? A friend said to me recently, “You really love your non-fiction!”, which is sort of true. But while I love non-fiction (and my friends who write non-fiction) I really love reading fiction. Fiction, especially historical fiction, is my favorite genre to read, probably because I could never write it. I’m always amazed at the talent it takes to write a great fiction book. Anyway, here are my favorite fiction reads for 2017. Next week I’ll share my favorite non-fiction reads. This is, hands down, the best book I read in 2017. It’s a book that is destined to become a classic because, not only is it long, it is complex and beautifully written. When I picked it up I wondered how on earth an author could make one setting interesting, but Towles has done it. I will probably go back and read this one again and again. OK, granted, this didn’t get great reviews on Goodreads. 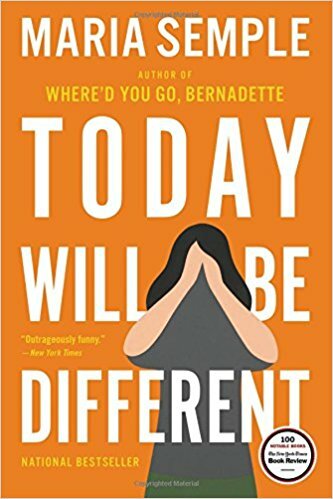 It’s not a masterpiece like A Gentleman in Moscow—they aren’t even in the same category!—but this was a fun read by the author of Where’d You Go Bernadette? Plus, it takes place in Seattle, where my daughter lives, so I could picture many of the places she talks about. The ending was my favorite, and, although I don’t want to give anything away, I think she handles the subject matter really well. Kate is a personal friend in my writer’s guild, but even if I didn’t know her I would probably have included this book in my list. This book won the Christianity Today Fiction Book of the Year for 2017, a well-deserved award. But it’s not your typical “Christian fiction” book, which is probably why I liked it. This book is gritty, raw, even a bit edgy, but most of all it’s real. And why shouldn’t Christians, of all people, deal with subject matter that’s real? This one stuck with me for a long time. I didn’t want to read this one, but it was Wheaton College’s pick for the 2016-17 school year, and when my daughter read it as an incoming freshman and said, “Mom, you HAVE to read this book! It’s one of the best books I’ve ever read,” I knew I had to do it. Thankfully, my friend, Lisa, agreed to read and discuss it with me, so I had the motivation. This was not an easy read, but it was so thought-provoking that I’m glad I read it. I loved the movie before I read the book, but in this case both were wonderful. I was actually glad I saw the movie first so that I could picture Ove’s house and his neighbors. The characters make this a good book, but the writing itself makes it wonderful. So there you have my five favorite fiction books of 2017. What were some of YOUR favorites? Did you know I send a newsletter once a month to my followers? It's filled with a few more personal tidbits than you might see here, and in the coming months will give you insider information about my book that's coming out in April. You can sign up for my newsletter below. I'd love to have you join me!